The Angie W. Cox Public Library greatly appreciates any and all donations. The donation of monies and new or gently used items are accepted. If you are interested in purchasing something for the library collection, please take a look at our Amazon Wish List. Donations are tax deductible, and we would be happy to provide you a receipt for your records. 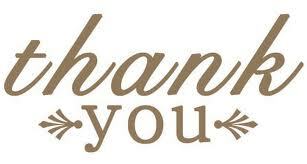 We thank you for thinking of the Angie W. Cox Public Library as a recipient of your charitable donations. Items: Gifts of books, movies, and the like may be added to the library’s collection or used in the Friends of the Library Book Sale, determination of use will be at the Library’s discretion. All profits from the Friends of Library Book Sale will be used in accordance of the Library’s wants and needs. Other examples of donated items include: holiday decorations, historical items, craft materials, and magazine subscriptions. Please inquire with the Library Director about miscellaneous items you’d like to donate. Money: We are excited to offer you a new way to donate money to support the Angie W. Cox Public Library and receive tax deductible credit. The Angie W. Cox Public Library is a member of the South Central Library System Foundation which has 501c3 status. Click on this link to donate with your credit card from the comfort of your home. Monetary gifts may be given to the library to use as we see fit, or you may earmark it for something you’d like to see at the library. Please speak with the Library Director about earmarked monies to discuss what you have in mind.